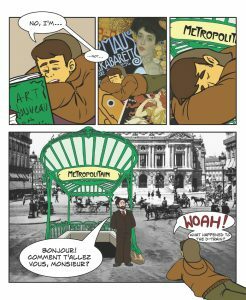 In the newest issue of the library’s ongoing Web Comic series, Francisco Morillo delves into the world of Art Nouveau. This 20th century art movement spanned multiple countries and touched all aspects of visual art, including painting, graphic design, decorative art, and architecture. Francisco must navigate this large subject to identify an area of exploration that interests him. Luckily, he happens upon Hector Guimard, a French architect with some unique qualifications, who provides crucial advice that helps Francisco narrow and define his research focus. This comic can be used in the classroom. Try our simple worksheet on refining a paper topic (PDF). Lehman student Melissa Puma (’14) did the bulk of the illustration, and Professors Michael Ferraro, Sharon Jordan, and Jennifer Poggiali provided guidance and leadership. We’d love to hear your feedback (contact jennifer.poggiali@lehman.cuny.edu). 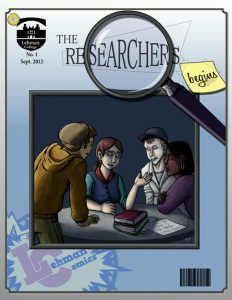 Issue 1: The Researchers Begins! 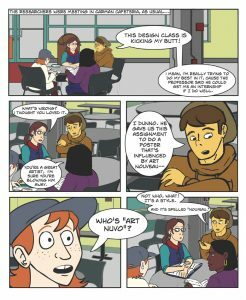 Issue 2: Who’s Art Nouveau?